Iraq has embarked on an ambitious diversification plan under which the country will supply 10 per cent of its energy needs from sustainable resources by 2028 through development of large-scale solar, wind and biomass facilities at an investment of over $50 billion. Blessed with an abundance of solar and wind resources, the war-torn country is now seeking to diversify its energy dependency away from fossil fuels within the next decade, and enhance the energy mix, according to a new report by Frost & Sullivan. Iraq suffers from serious electricity shortage due to insufficient generating capacity and constantly increasing demand which is now outpacing capacity expansion. The ISIS aggression in June 2014 reduced the available generation capacity from 28,680 MW to about 24,020 MW. While demand is 17,000 MW, the output of electricity averaged less than 11,300 MW in 2017, stated the report. Power supply availability is less than 15 hours/day from the public network. This has forced Iraqi citizens to rely on private diesel generators to fill the gap. Considering the current electricity demand growth rate of 6 per cent, the country needs an additional capacity of 20,000 MW to serve demand of over 32,500 MW by 2028, it added. Empowering sustainability is going to be an essential component of rebuilding economy efforts in Iraq, stated Frost & Sullivan in its Energy Practice. The country is expected to supply over 10 per cent of its energy needs by 2028 from sustainable resources, by opting to build large-scale Solar, Wind and Biomass facilities, it added. "To move towards a sustainable economy, Iraq’s electricity infrastructure requires significant investment in capacity expansion, efficiency improvements through retrofits, and renewables-based generation capacity," remarked Ali Mirmohammad, senior consultant and business development manager at Frost & Sullivan. "There is also a pressing need to repair and upgrade transmission lines and substations, to cut down on transmission and distribution losses," he stated. "This kind of electricity development programme in Iraq requires over $50 billion of capital within 2018-2028, presenting significant opportunities for companies that supply to this industry," he added. Frost & Sullivan said Iraq holds large reserves of natural gas that could be used for the development of combined-cycle gas turbine plants. Besides, an average irradiation of 5.6 kWh/m2/day with over 3000 hours of bright sunshine per year offers significant opportunities for development of solar energies across the country, it stated. With great efforts, Iraq is on the path to end the practice of flaring gas from its southern oil-producing fields and is also expected to install more gas processing facilities to not only cut gas imports but also provide more feedstock to power generation plants from 2021 onwards, it added. By 2028, Iraq is expected to have an installed capacity of over 5 GW of solar energy, about 1 GW of wind Energy and around 0.2 GW of Bioenergy. "This would present great opportunities for private investors and technology providers to get involved in capacity expansions, upgrades and localisations," said Mirmohammad. As far as the federal budget deficit is concerned, the government of Iraq is simply unable to self-fund the necessary investments in the renewable energy sector, stated Frost & Sullivan in its report. To involve the private sectors and boost FDI, the government is offering significant incentives and initiatives to investors in this sector. This includes tax holidays, customs incentives, investor-favourable tariffs, land rights and infrastructure, NIC support in obtaining permits and licenses, and some guarantees for eligible projects identified by the Ministry of Finance (MoF), it stated. Another major untapped sector in the war-torn contry is the wind energy, said the top industry expert. 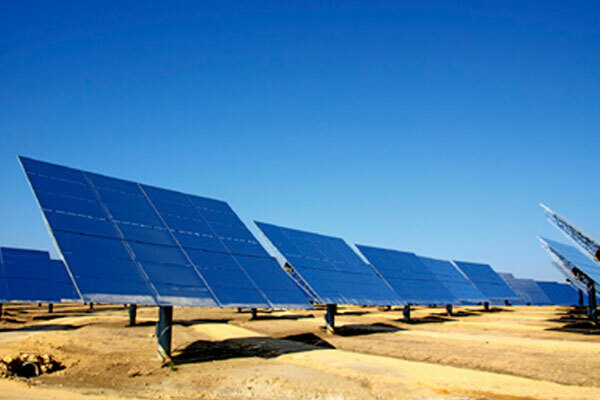 No significant activity has been carried out in this sector, in contrast to the focus solar energy has received from both government and private sectors in Iraq. However, the Kurdistan Regional Government is planning to augment its much needed electricity from wind and hydropower sources. The KRG ministry has proposed wind farm feasibility studies in all of its three northern Iraq provinces, apart from three hydropower feasibility studies. All the wind sites will be selected at Iraq's Dohuk, Erbil and Sulaimaniya provinces, stated the report by Frost & Sullivan. Use of Rooftop photovoltaics (PV) in Iraq among home and shop owners has increased significantly within the past two years especially in northern area of Iraq to smoothen power outages, it added. "Iraq presents a strong potential for deployment of off-grid, and distributed solar PV solutions at a micro level," remarked Abhay Bhargava, Frost & Sullivan’s Director for Industrial Practice, Middle East Africa region.